If you are a self-published author, you need to check out a new site called Reedsy. They connect authors with professional editors, illustrators, etc. They also have a blog packed with tips and information, and today I am visiting that site as a guest of Ricardo Fayet, co-founder of Reedsy. Please drop by! Special thanks to those of you who took the time to listen to my guitar piece last week. You are greatly appreciated! If you missed it, I posted a snippet of me playing Marillion’s Easter. New clue today at What Are the Kargrandes? Every Monday is a new piece of information about the Kargrandes from my upcoming book, Dragon of the Stars. Any ideas yet? Know how they are connected to the Dragon? And in other book news, I’d like to thank Lily Eva Blake for her wonderful review of CassaFire! This Wednesday at the Insecure Writer’s Support Group site is none other than author Medeia Sharif! Want to know how she went from parting from her agent to four books in one year? Check it out Wednesday and find out. Comes out January 28 and you can pre-order it at Amazon, Barnes and Noble, and Smashwords. Charity will be a guest here on February 9. David will be a guest here on February 11. And you can enter to win a free book! 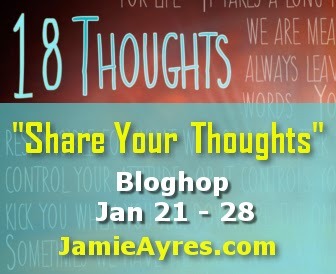 Hosted by Jamie Ayres to celebrate the release of 18 Thoughts, the third installment in the My So-Called Afterlife trilogy. Each person participating will post a thought (belief) that has defined their life, their way of thinking. Post up to 18 if you’re feeling adventurous and post any time between Jan. 21 and Jan. 28. I’ll pick 2-3 winners each day. I believe God rules and God reigns, His son Jesus Christ died for my sins, and I live under the tenets of grace, love, mercy, and forgiveness. The 2015 A to Z Challenge List is Open! Please read and follow the sign-up instructions outlined below so you sign onto the list correctly! The brainchild of Arlee Bird, at Tossing it Out, the A to Z Challenge is posting every day in April except Sundays (we get those off for good behavior.) And since there are 26 days, that matches the 26 letters of the alphabet. On April 1, blog about something that begins with the letter “A.” April 2 is “B,” April 3 is “C,” and so on. You can use a theme for the month or go random – just as long as it matches the letter of the alphabet for the day. We recommend short posts, turn off Word Verification, and visit five blogs (or more) a day beginning with the one after yours on the list. Blogs must be on an open platform – no Tumblr, Facebook, Pinterest, etc. – and comments enabled. To streamline legitimate blogs from advertisement blogs, the Co-Hosts will be visiting each blog on this list throughout the Challenge. Blogs on the list showing no activity once the Challenge starts or miss five days in a row will be removed. Please note your blog name and number in all correspondences. Remember that as blogs are removed, your number will change. Sign up at the A to Z Challenge Blog and join us for a month of alphabet fun! Don’t forget to visit Reedsy’s blog. The site is just one page with two images that rotate every seven seconds. Every Monday morning, a new clue will appear, and a piece of the puzzle will fall into place, all the way up until the day before Dragon’s release. This is where I need your help – spreading the word about the site on social media. For Twitter, the hashtag is #whatarethekargrandes. I’ll be sending out Tweets and posting on Google+ - please feel free to share there and elsewhere. What are the Kargrandes? You’ll find out on April 7! Dragon of the Stars is now available for preorder on Amazon! It will soon be available for pre-order at other book sites, so keep watching. 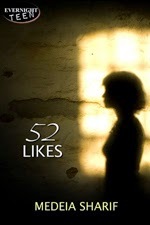 Today is also the last day of the Goodreads giveaway. 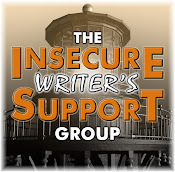 Thanks for all of the amazing comments last week for the Insecure Writer’s Support Group! And the introductions were awesome. It was cool to read a little bit about each member. (If you missed it, add your introduction to February’s post.) 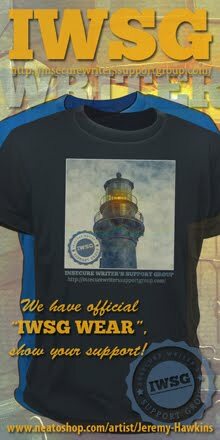 It’s always so amazing to hear how many of you find IWSG your favorite post day. You guys rock! And thanks to everyone who visited my interview with Chrys Fey - AND went back to comment on my very first blog post! It doesn’t look so lonely and unloved now. Did you know you don’t have to fill out the Captcha letters OR check the box saying you are not a robot? That’s right – you can just ignore them and hit publish comment! Thanks to The Happy Whisk and Father Dragon Al for pointing out that trick. I will be going back to the pop up box soon! I’m not sure of the purpose of this film. Don’t do a ton of drugs without expecting something to go wrong eventually? If you are looking for a movie with redeeming values, this is NOT it. Latest Schwarzenegger film and it’s really violent. Certainly one of the bloodiest films I’ve seen in a long time. Plot was disjointed and odd. It’s passable if you just want mindless gore. You got my favorite movies last week – this time, I’ll just give you one of each. Favorite album was Voyager – V.
Every time I listen to it, the music sounds fresh. And these books didn’t come out this past year, but that’s when I began reading the series – Joe Abercrombie’s The First Law. The man is a master with character development. Excellent fantasy series! At the A to Z Blog today is Sharon Arthur Moore with her theme of all things food related. The 2015 A to Z Challenge sign up list opens in two weeks! Are you ready for the sixth Challenge? I have my theme and the basics for each letter already picked out. Her blog tour is already in progress and you can win some cool, custom geeky dice. SC gave me the Very Inspiring Blogger Award. Thank you! I’ve received it before, so I won’t list my seven things. I hope to have a recording of me playing guitar next Monday. I have selected Marillion’s song Easter, a favorite of mine. 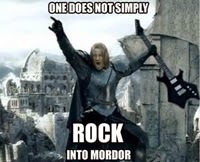 Because yes, I do intend to simply rock into Mordor! Can you help with the #whatarethekargrandes campaign? Did you know you could ignore the Captcha? Seen either of those movies? 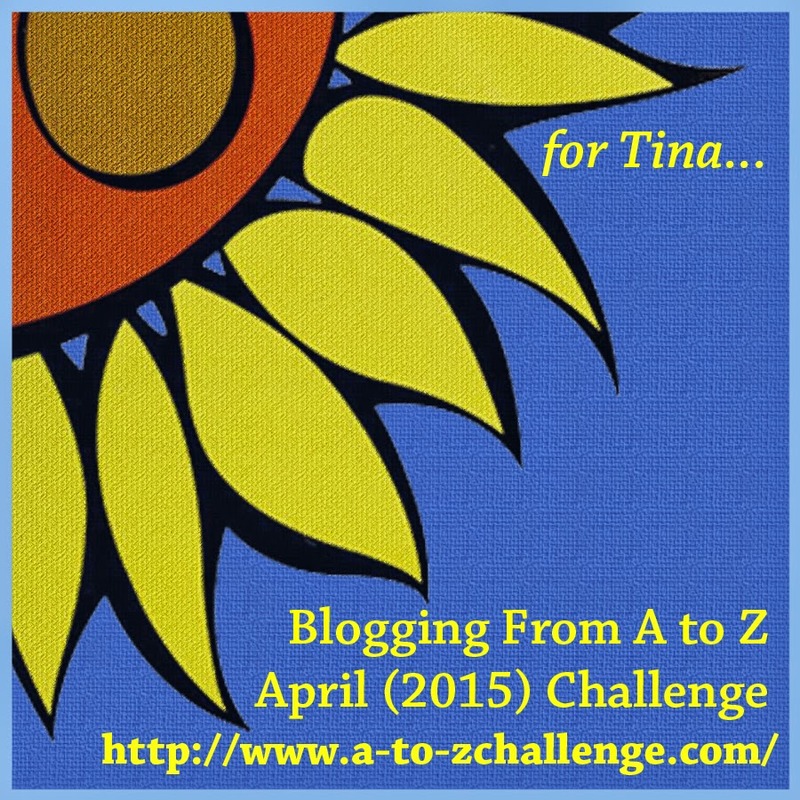 Ready for the A to Z Challenge? And who’s ready to see me rock into Mordor..? The lovely Chrys Fey is kicking off the new year with an interview and feature, and I am her first guest! 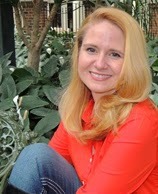 Please visit her site to learn some interesting things about my blog and posts. My awesome co-hosts today are Elizabeth Seckman, Lisa Buie-Collard, Chrys Fey, and Michelle Wallace! It looks like everything is falling in place for the release of Dragon of the Stars. My publisher sent out review copies and is sending a lot of promotional material to upcoming science fiction conventions. 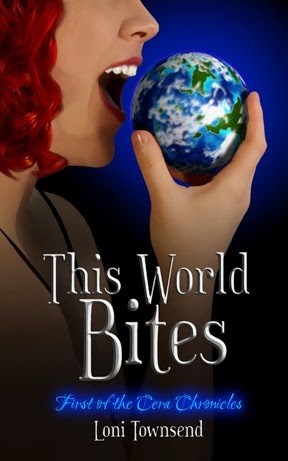 My blog tour is mostly set. And I have a secret project I’m working on with my publisher that involves a website and a grassroots movement. When it’s all set, I hope to get help spreading the word. And there’s another Goodreads giveaway! Giveaway ends January 13, 2015. 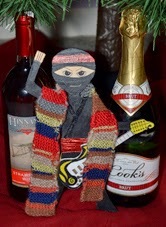 Hosted by LG Keltner, who is celebrating three years of blogging. 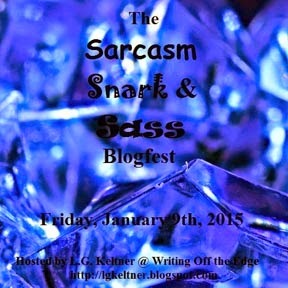 On Friday, January 9th, 2015, give me a post that celebrates something sarcastic, snarky, or just satisfyingly sassy. You can give me an example from real life, a favorite film or book, or you can give me an original piece of fiction. The sarcasm can either be well understood, or hilariously misunderstood. He wants his haircut back. Here are the upcoming theatrical releases for January! As always, descriptions courtesy of the IMDB. Snarky comments by me. They’re going to tone it down for Taken 4. Someone will take his sandwich from the lunchroom. The preview looked cool until I saw it was directed by Mann – then it looked uber-cool! Why wasn’t this released over Christmas? Would’ve been perfect timing. What are your writing insecurities today? Did you introduce yourself? Entering either Goodreads giveaway? Feeling snarky? And what films do you want to see in January? Be sure to visit Chrys Fey! Welcome to 2015! I enjoyed my holiday break (so did Mini-Alex) but it’s good to be back. To kick off the first post of the year with some movie inspiration, please welcome the talented and beautiful Stephanie Faris! I used to write romance. My specialty was the fun romantic comedies that were popular in the 90s and early 00s but seem to have fallen out of favor in recent years. Except one place. Hallmark’s cheesy movies. I have to admit, I’m a sucker for those movies. Before Christmas, I discovered a wealth of Hallmark movies on YouTube and indulged in day-long marathons while I worked. I realized something as I was enjoying one sweet romance after another: romantic comedy heroines have quite a bit in common with the young girls in my middle grade novels. They’re spunky, idealistic, and they want to make a difference in the world. Some writers are inspired to write by the latest superhero blockbuster or dystopian teen angst story, but not me. I’m inspired by idealistic women who have their flaws but always mean well. Think Meg Ryan in just about every movie she did in the 90s. Or Kate Hudson in her romantic comedies of the early 00s. We fall in love with them because they aren’t perfect. We fall in love with them because we can relate. So if you cringe every time Hallmark advertises its 25 Days of Christmas or you’re thankful every day Julia Roberts and Jennifer Aniston are now too old to play quirky young women, you might not like 25 Roses. Although my main character Mia does have a bit of Robin Hood in her—giving chocolate roses to the kids in her school who never receive them on Valentine’s Day. Everyone loves Robin Hood, right? 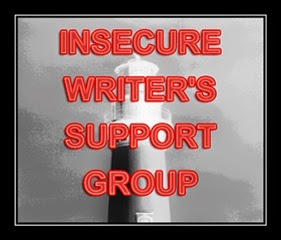 This Wednesday, we invite all Insecure Writer’s Support Group members (Bloggers and Facebook members) to post an introduction of yourself. Include it with your regular IWSG post (please keep it to one hundred words or less) or post it Wednesday when prompted at the Facebook IWSG. 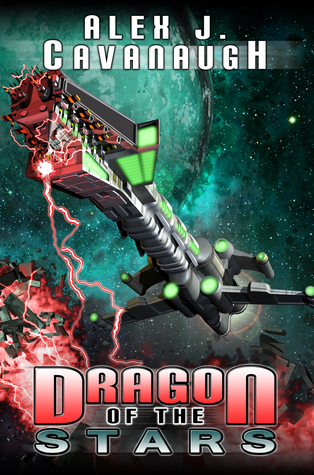 Dragon of the Stars is on two new lists at Goodreads - Can’t Wait Sci-Fi and Fantasy of 2015 and Excellent Space Opera. So if you’re looking forward to it or you’ve read and enjoyed it, please hop over and vote. Thanks! You might not know this, but Trisha @ Words and Stuff is a singer and you can hear her on Rotting Apples’ new album, The Falling Sound. Her first - congratulations, Rebecca! Recent changes with Blogger have resulted in a new annoying feature–the I Am Not A Robot button. It appears you can now turn off Captcha (check–many of you still have it on) but that button is always there. I’m not a fan of the embedded comment box (because I have to keep scrolling up and down, answering comments) but it’s the only one without that annoying button. And speaking of comments–did you know that once you hit two hundred, that’s all that appears on the page? You have to either show the next batch (with a pop-up comment box) or Show More (with embedded) to see the rest. So your comments on my last post weren’t eaten–they were just hidden. The movie wasn’t necessary, but I’m happy with any chance to return to Peter Jackson’s vision of Middle Earth! No, this will not be an unbiased review. 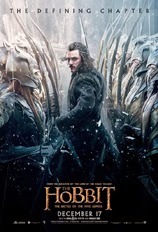 I loved the first five Middle Earth films, and I loved this one. The movie showcases what Jackson does best. The one battle encompasses most of the movie and it’s spectacular. Plus we are so invested in the characters at this point and really care what happens to them. It’s a bittersweet ending for several reasons, including the fact it’s the last venture into Middle Earth. 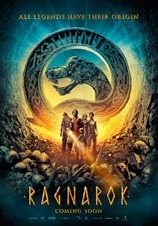 This Finnish film is what I’d call a hidden gem. It’s nothing you haven’t seen before, but it’s done really well. Set against the backdrop of Viking mythology, the film begins with a quest that that takes a turn for the worse. The scenery and cinematography are stunning. The acting is solid and the special effects are also very good, especially considering the tiny budget. A ‘Watch Now’ on NetFlix, with subtitles. Sadly, Guardians was not the highest grossing film of 2014. For reasons unknown, Transformers: Age of Extinction made $1.087 billion dollars worldwide. Go figure! What were your favorite films? Did everyone have a good Christmas and New Year’s? What movies inspire you? Picking up some new books? Annoyed with Blogger? Have you seen the last Hobbit film or Ragnarok? And what were your favorite films of 2014?